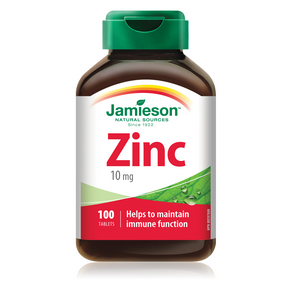 Medicinal ingredients: Elemental Zinc (Gluconate) 10 mg.
Non-medicinal ingredients: Cellulose, modified cellulose gum, dicalcium phosphate, vegetable magnesium stearate. Adults: Take 1 tablet daily with a meal. Take a few hours before or after taking other medications.